Yes, there is a way to write this interval so that the notes are written as a Harmonic Augmented First! A "Ground Rule" is a term that means the basic rule or governing principal. 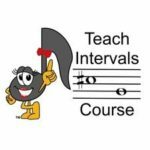 Before we discuss the specifics of the Augmented First, let's set the Ground Rule for Intervals: All Intervals are based upon the Major Scale of the Lower Note. One reason is simply because the Major Scale Pattern is always consistent. If you were going to base intervals on the minor scale, which pattern are you going to use? Harmonic minor? Melodic minor? Natural minor? KISS (Keep it Simple for Students)! One reason is simply because using the Lower Note keeps it consistent. It doesn't matter which note is heard/written first, or whether the interval is being played/written as a harmonic or as a melodic interval. KISS (Keep it Simple for Students)! 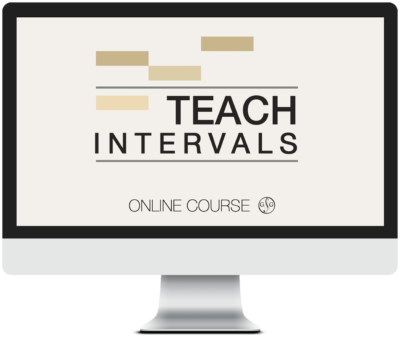 To really understand Intervals, buy the Teach Intervals Course now! For $39.97, you will have unlimited access to the 6 Videos in this Teacher Training Course, plus all your downloadable worksheets with examples and exercises. All the "What, Where & Why" Secrets of Intervals are revealed! The key to writing a Harmonic Augmented First is to remember that the lower note is written first and the higher note is written second. So, the lowest pitched note is on the left and the highest pitched note is on the right. How do you write a different accidental for each note when the notes have to be touching? Easy! You will write 2 different accidentals (using a natural for the white key) in front of the 2 notes that form your Harmonic 1st. The first accidental will apply to the first note (the lowest note) and the second accidental will apply to the second note (the higher note of the Augmented First). Remember - for a Harmonic 1st and a Harmonic 2nd, the lower note is always written on the left. Example #1 - In Prep 1 Rudiments on Page 67, students learn that an accidental before a note applies to all notes on that line or in that space until it is canceled (by another accidental). Thus, the accidental is applied to both notes that follow it. This creates a Harmonic Perfect 1st (or Harmonic Perfect Unison). Example #2 - In this example, we have F sharp followed immediately by F natural. The whole notes are not touching - there is a natural in between them. Because the notes are not touching, this is a melodic Augmented 1st. To be more specific - it is a descending melodic Augmented 1st. Now, I can hear some of you already saying "But doesn't that mean it is a diminished first since it is F sharp descending to F natural?". No, it is not. Why? Because there is no such thing as a diminished first. And why not? Remember our Ground Rule - All Intervals are based upon the Major Scale of the Lower Note. No matter how you write it or which note you write first, the lower note of this interval will always be F natural and the higher note will always be F sharp, and that will always be augmented! So, How DO You Write a Harmonic Augmented First? Example #3 and Example #4 - FINALLY! Here are two examples of how to write a Harmonic Augmented First using accidentals. I have added the arrows to show you how the accidentals affect the notes - the first accidental affects the first note and the second accidental affects the second note. The concept of writing a Harmonic Augmented First is not something that many of us are familiar with - I know that I wasn't. That is why there are two mistakes in the Intermediate Rudiments Answer Book on page 78. Can you spot them? 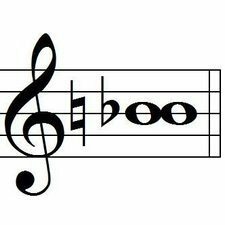 The first boo-boo is in the example box - all our intervals and inversion examples are harmonic intervals. However, the final measure, the Aug 1, is written as a melodic Aug 1. For this to be correct, can you tell me what I should have written? Here is the corrected Example Box for Page 78. Do you see the difference? Do you understand the difference? Now, Glory doesn't call me "Boo-Boo" for nothing! (And yes, that is my nickname!) The second boo-boo is the inversion of the dim 8 (Question 8, second line, measures 1 and 2). Here is the corrected answer to this question. In the given interval of a harmonic diminished eighth (dim 8), the lower note is A and the upper (higher) note is A flat. In the answer for the harmonic Augmented first (Aug 1), the lower note (on the left) is A flat and the upper (higher) note is A natural (on the right). As hard as we tried, spending thousands of hours editing and proof-reading, we still made some mistakes (okay, I still made some boo-boos.). You can download the Errata Pages for all the Ultimate Music Theory Workbooks and Answer Books here. Make the changes directly in your Answer Books for easy reference.